Last April 4th was a particular day for the almighty Search Engine. What came to be known as Google de-indexing bug was an unexpected coding error that dropped pages from its search index without warning. After three days of work the company claimed to have fixed the bug. Merely a day later, Google admitted that it was not completely solved. In the following week, Google implemented a series of updates and announced that was still reprocessing pages while hoping to fully resolve the issue promptly. This bug has a negative impact in revenues, traffic, sales, conversions and all sort of metrics during the current period. Finally, on April 10th Google announced that the bug was fixed. The causes of the error are not clear yet and there’s been no declarations from Google on that particular detail. They haven’t published any more information about how much of the index was affected, either. Those who re-submitted dropped URLs to the index had good results with the Inspect URL and Submit to index feature in Google Search Console. According to the newest data provided by Moz, the Google De-indexing Bug affected 4% of all indexed pages. 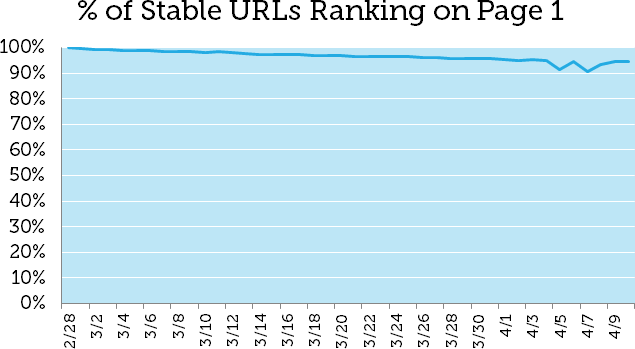 Still, we need to understand that Moz could only look at 23,237 stable URLs in its data set. This is a very small fraction of an index that circunscribe URLs by the trillions. So even though the data could provide a near idea, it’s still no real indicator of the full impact the bug had across the whole index. 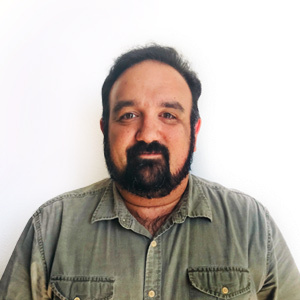 In the words of Moz Marketing Scientist Pete Meyers, “I’d like more, certainly, but the pattern seems consistent even as we slice and dice the data, which helps. I feel comfortable that this is a set we know well, historically. Happy to share methodology details for anyone who wants to try and replicate”. Many other data providers were not able to provide an answer for several reasons: they either had limited resources or they didn’t have correct data to analyze the bug’s impact. Moz provided a chart that shows a distinct drop on April 5th, followed by a recovery and another drop on April 7th. The Google De-indexing bug didn’t affect every website. 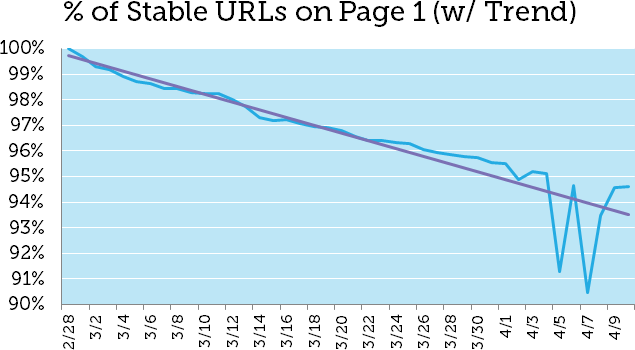 The 4% provided by Moz data doesn’t mean that each and every site had a 4% of its pages dropped out the Google index. Each site is unique and can be impacted differently by this bug. You may have had no pages dropped out or a 50% of them dropped out of the Google index. Aside of checking Search Console’s data, there’s little we can do about it. Google claimed to have fixed the bug already. It was fortunate that it happened during a weekend, as Google searches are usually lower that during the weekdays. If there’s a positive thing you as a Digital Marketer is to diversify your traffic. Many people still complain about not being fully indexed. Google don’t actually index all of the internet; not at least in the past several years. They’ve actually claimed in the past that they have no intention on indexing each and every URLs on the web. Doing so would be both useless and inefficient from them. In the words of Google’s John Mueller, “we don’t index all URLs on the web, so even once it’s reprocessed here, it would be normal that not every URL on every site is indexed. Awesome sites with minimal duplication help us recognize the value of indexing more of your pages”. If your site’s pages are still not indexed, you should probably go to Google Search Console’s URL inspection and try to submit specific URLs to Google. The URL inspection tool should let you know any issue. 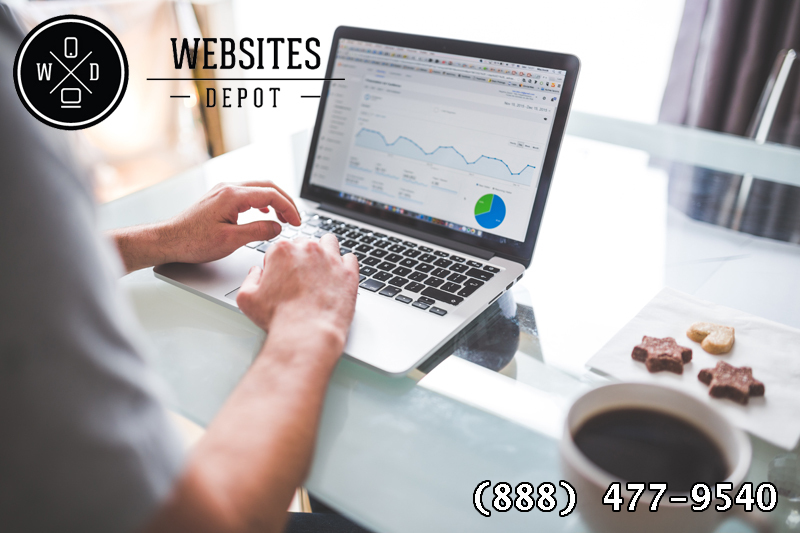 And If you still have doubts or concerns about the potential harm the Google De-indexing bug could have brought to your indexings, Make a consultation with Websites Depot Search Engine Optimization experts. We can generate a comprehensive report for you and help you with this and many other issues affecting your rankings. Call (888) 477-9540 and make your consultation today.